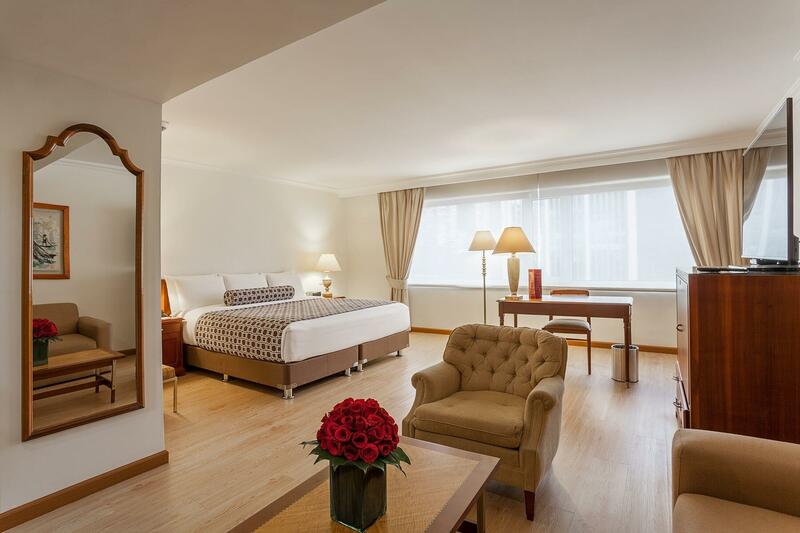 The Tequendama Bogota Hotel, located at the heart of Bogota and within a 15 minute drive to El Dorado International Airport, offers all the services of a 5-star hotel. It features 573 totally refurbished rooms of classic design and equipped with a state-of-the-art technology and all the necessary services to guarantee our guests' maximum comfort. Besides, the hotel features free Wi-Fi, restaurant, spa and 39 boardrooms which make it the ideal option for the celebration of any type of business meeting or financial event in Bogota.